As discussed in my last blog, a business is only as strong as its team, I shared with you why having a strong team is so vital to your business’s success. Once we as business owners understand the value of a strong team, the natural next step is how to create that team and how to measure its success. There are several key elements to building and measuring a strong team—from defining roles, ensuring communication, to celebrating successes and measuring progress. I’ve outlined four key elements that you’ll need to consider in building a successful team. In addition to a job description, ensure your staff have their responsibilities clearly outlined. Clearly defining what it is the team member is responsible for, as well as how it plays a part in the overall company, will help in understanding the value their position plays in the overall growth of your company. Open, or two-way, communication is a key aspect in running a successful business. Your employees rely on you to communicate your expectations to them and to provide any information or training that may be required. From a feedback and measurement perspective, communication is key. Create not only an onboarding document which outlines your expectations, but also develop a feedback mechanism for them to communicate their progress or any difficulties they may be experiencing. You can establish weekly or daily meetings with them and ask them to create a report, which gives you an overall perspective on how they are progressing and managing tasks. If an employee or team accomplishes something in the workplace, celebrate it! No, you don’t have to throw a big party with cake, streamers and balloons, but even the simplest recognition like a personalized email acknowledging their accomplishment can go a long way. However, if mistakes happen, use them as a learning opportunity not just for that individual, but also for the entire team. As a business owner, it’s essential not to place blame or point fingers when something goes wrong. The goal of your team is to work towards the future of the business, so learning from mistakes should make for a valuable lesson moving forward. A team is non-existent without collaboration. Collaboration can be achieved in many ways – through effective communication, sharing of knowledge, and peer support. Ensure you have built in opportunities for collaboration, which might be regular team meetings, in-house lunch and learns, one-on-one meetings, etc. Roles often collide and allow employees to work synonymously together. If we think back to the restaurant analogy, a cook would not be able to plate food without clean dishes, nor could a server serve the food if the tables are not cleared. Lastly, team building and measurement is an ongoing process in which you play a vital part. Allow yourself the time to invite your team to share in your goals and help you achieve them. Just as no man is an island unto himself, no company can be built without a strong team. What do you and your team hope to accomplish for the remainder of the year? Many business owners feel that mentoring their employees is part of their job, particularly when hiring millennial junior staff, but I caution you against doing this as it can have detrimental effects on your business. When you are in a position of power, and responsible for hiring, evaluating, disciplining, and firing, if you blur the lines of this employee-boss relationship into a mentoring relationship, you give up this power and therefore must live with the consequences if something was to go wrong. Although many owners provide guidance and business expertise, it is to help their staff learn their job and to familiarize them with the industry. It is, in fact, to help them grow in their role and with your company. I discuss employee mentoring all the time with business owners because it can have serious consequences to your business. I have outlined a few myths about mentoring employees that I hope will provide you with some insights to help you better understand the issue. Myth #1: As a business owner, mentoring your employees helps them perform better, improves morale, and can help your business succeed. The opposite is true because an employee you mentor begins to see you more as a mentor (there to help them) rather than a boss who is there to teach them, ensure they perform well, and also discipline them if something goes awry. Myth #2: Being a supportive boss is a type of mentoring. Being a supportive boss is a fantastic managerial style, however, do not mistake this style with mentorship. There always needs to be a clear line between an employee and an owner. If the relationship becomes too casual, you could run the risk of favouritism, or providing biased critiques, and this could lead to performance issues and profit loss. Myth #3: My staff needs a mentor to show them the ropes. A mentor does not show employees how to do their job; rather, they encourage them to reach their career goals. If you need your staff to learn the ropes, then what they need is a good manager, or senior staff to job shadow. Myth #4: I know what my employee needs to succeed. As an expert in your field, you may have some insights as to what your employee needs to succeed, but your role is to help them succeed in the job for which you have hired them. If, for example, their career goal is to work overseas, are you willing to help them meet this goal as a business owner when it runs counter to their employment with you? Myth #5: The best bosses are mentors that help an employee grow. Being a good boss with a supportive management style will help your employee grow. As a business owner, you can help your employee grow by reaching their goals of the job, and challenging their boundaries to success; a mentor helps employees grow their careers, reach external goals (e.g. moving overseas), and support them regardless of performance in their current role. As a business owner, if you want to mentor someone, then I would suggest looking at external opportunities. If you want mentoring to take place within your organization, then I’d suggest you could hire an external business mentor or ask your senior staff if they are interested in mentoring some of your junior employees. If you hire an external business mentor, they could also mentor your senior staff. There is no doubt that mentoring offers huge rewards to everyone involved, but as a business owner you need to be clear when and where you should be mentoring because you could be setting yourself up for blurred lines that impact communication, discipline and ultimately loss of respect. As a business owner, have you mentored your employees? How did this help or hinder your business? I look forward to a lively discussion! When Opportunity Knocks, How Do You Answer? Recognizing and assessing business opportunities is an integral part of being a business owner. Although opportunities can help grow and develop a business, taking advantage of the wrong opportunities can be detrimental. Many of the discussions I frequently have with my members revolve around assessing opportunities and determining if they should be acted upon. Considering all angles of a situation will allow you to see the full picture. Business owners can find themselves focusing only on the potential success of a venture and they often don’t take the time to qualify the opportunity. Use caution as there is a tendency to “jump” at an opportunity. Be sure to assess the details carefully in order to confidently weigh the possible benefits against the risks and costs that could arise later. You might want to consider having a trusted advisor or mentor review the opportunity to help you weigh pros and cons or shed light on aspects that you may have missed. How do you define an opportunity within your business? Outline expectations that define what an opportunity means for you. This may differ for every industry but it will help to recognize an opportunity when the time comes. Is an opportunity a sale, a discussion, an invitation to an event? What defines an opportunity for you? How do you assess if you should take advantage of an opportunity? Opportunities can open new doors and help create new connections. When considering opportunities, ask yourself if taking this opportunity will distract you from the main direction of your business. Evaluate the advantages and disadvantages against your expectations and objectives for your business. Conduct research about your market and your competitors, and where possible, engage current and potential clients who may be able to provide insight on a venture’s viability. Being informed can prepare you for making a decision on whether or not you should seize the opportunity. How can you generate new opportunities for your business? One of the many things I always remind my members is to keep your eyes on the horizon, what trends are taking shape, and where your industry is headed. Being a forward thinker will allow you to look for and seize opportunities even before they present themselves! Identifying and taking advantage of opportunities is not an easy task. As opportunities may mean something different for every business owner, defining what an opportunity means to you and staying focused on your goals can make a world of a difference when opportunity knocks. Do you feel every opportunity is a good opportunity? How do you assess the opportunity? I look forward to hearing your responses! Building social capital (a network of personal and professional relationships – nothing to do with money!) is one of the key assets in your portfolio. Your network will help you connect with influencers and build your personal professional brand. Network strategically and you will find your professional world rich with opportunity. Being proactive and staying connected is imperative. Having a network you can tap into is highly valuable, and provides an advantage by supporting you with a collection of smart and powerful people. Being active on LinkedIn and attending business events, such as the TAB 2015 Kick-Off event held by TAB Ontario earlier this month, are easy ways to meet new people. Do more than exchange business cards! Rather than focusing on meeting everyone in the room, be intentioned and find one (or a few people) to create solid relationships with. These people will help support your business goals, while you help support them with theirs. Identify whom you already know and whom you need to know, to help you build a powerful network and reach your business goals. May I suggest stepping out of your comfort zone? Moving away from your comfort zone will help you separate those who can help you build your business from the people you just like to be around. 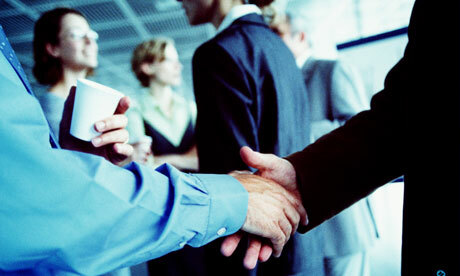 Focus on the business relationships that really matter – mutually beneficial partnerships. The right people have power and influence. Identify and develop a relationship with the right people, then build trust in your relationship. Paying it forward comes into play when you are willing to ask others for assistance, and provide some help when others need it. As Jim Rohn once said, “you are the average of the five people you spend the most time with.” Think about it – you are the average of the five people you spend the most time with. That means others assist in determining how you think, act, and ultimately, how successful you could be. Look around and ask yourself, “Who do I spend the most time with?” Picture your friends, family, coworkers, mentors…etc. Have they reached the goals they’ve intended to? Find others with focus and determination, and feed off their enthusiasm and passion. What has your biggest networking challenge been? Share your experiences with me in the comment section, and stay tuned for the next blog where I will share networking tactics to help your network grow. Have customers stopped caring or is there little for them to care about? How can your business continue to thrive in this increasingly confused marketplace? 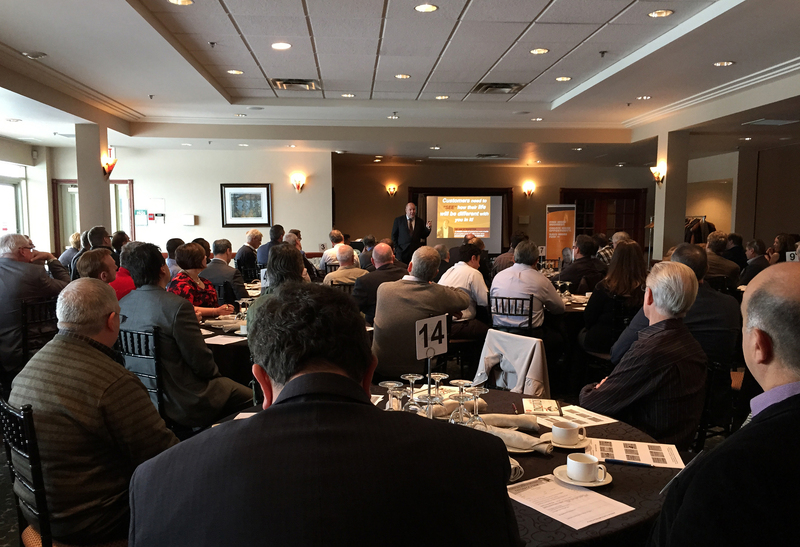 As business owners, we all ask ourselves these questions, so to kick off the new 2015 business year, we invited a business speaker, Curt Skene, to present to over 100 business owners across Ontario and try to provide some concrete answers to these key questions. Know Everything About Your Customer: Sometimes we don’t ask our customers questions, and sometimes we don’t ask them the right questions. We all know customers are 100% of our business, so make sure you understand them better by asking them thoughtful questions about their business and then turning that into an opportunity to align yourself with their business. Provide a Solution Not a Service: Think about what problem your business solves for your customer. If you are an RMT, are you trying to reduce stress or relax muscles…or both? What exactly is the solution you offer and start thinking in those terms when describing your business. It needs to be a value-based solution. Create a WOW in Your Business: Do you know what creates a WOW for your customer? If you don’t, find out by asking them. Your customers chose you when there are so many other companies bidding for their attention. Why? Find out and then leverage it in your marketing strategy. Have a Hero: It may seem trite, but these days more than ever, we all need to have a hero, a mentor, someone alive or not, to whom we can align our own thoughts and values. A good example was Mayor Rudy Giuliani who when faced with the atrocities of September 11th, recalled his hero Sir Winston Churchill for guidance and strength to help him manage this crisis. Leverage Your Network Better: We all know hundreds of people and thanks to social media networks, we all know far more than we think we know. Take the time to tap in to your networks, family, friends and social media, to see who you know and how you can “connect”. While growing your business is important, it will never grow if we don’t take the time to focus on who you are and who your customers are. Sometimes this means conducting market research, but the more you know, the more you can grow! How well do you think you know your customers? When was that last time you surveyed your customers (and not with a printed or electronic survey)? Do you think of your business as helping your customers? If not, then why not? Let me know in the comment section below. Many business owners find themselves struggling for new leads to drive revenues, but what if I told you that, although new lead generation must be a part of all business practices, additional revenues may be lurking in your own backyard. In my years of experience as a business advisor to SMBs, I have found some incredible results by emphasizing growing your business with your existing clients. Why exactly? Let me explain. Maximizing your business with current clients is not only cheaper, but also boasts a shorter lead time meaning better customer service, brand messaging, and customer loyalty. When you reduce the cold calling, sales pitches, and tradeshows, you’re left with an additional amount of valuable time to invest in your clients that already trust you. There is a greater risk with targeting new business. Your time and resources are limited, and trying to turn leads into clients can drain you of both of those. You and your business will benefit more with having two existing clients that you can work more with than having ten questionable prospects who you need to invest time into with no results. It is important to note that investing in existing clients can also provide you with new clients! When you build relationships with clients, you foster their loyalty and trust in your business. In turn, they will be more likely to refer you to others and provide leads that you wouldn’t have received otherwise. While going after new business is something all business owners must do to some extent, understanding the benefits of growing your existing client base is very important. Have you had greater success with focusing on current clients or targeting new leads? Let me know in the comments! How do you find the best talent for your business? 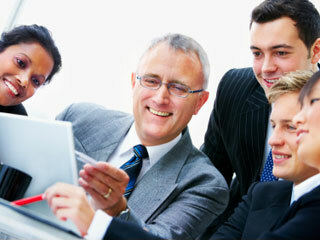 Many will argue that it is the people within an organization who are responsible for the success of the business. Whether your business is B2B or B2C, your employees are responsible for communicating the values of your brand and making your current and potential clients feel appreciated, serviced, and listened to. Knowing that employees are your greatest asset, how do you attract the best talent for your business? Be specific in your job description: Whether you are creating a new position or filling an existing position, you’ll want to look at your job description and decide if it aligns well with the reality of the role and would appeal to the kind of person you are looking for. You can communicate this by including job requirements and qualifications as well as the experience and skills a candidate can expect to gain from the position. Have an idea of the training that is required: When you are cognizant of and fully understand the training that will be required to acclimate a new employee, you will have a better sense of the experience and skills you are looking for in your candidate. Who would make the smoothest transition? Who already has many of the skills you intend to teach? Use your network: The perfect person for your business could be hiding in your personal or virtual networks! When you are looking for candidates for a position, reach out to trusted peers and ask if they have anyone in mind. The better you know a candidate, the more confident you can feel about your decision. The right incentive: The right person for your business won’t be solely interested in financial incentives. Make sure you give a candidate more than one reason to work for your company. You can accomplish this by communicating flexibility, vacation time, benefits, company culture, and skills that can be gained from the role. What to look for in the interview: Design your interview questions to uncover values, attitude, and underlying motivations as well as experience and skills. This could mean asking questions about hobbies, career goals or how a person spends their free time. Getting a three-dimensional view of your candidate will help you make a confident decision about who to bring into your organization. Time and circumstance permitted, you won’t want to rush the process of finding the best talent for your organization. Hopefully, with the help of these tips, you’ll be able to attract and choose from a targeted talent pool. Where have you found the best talent for your business? 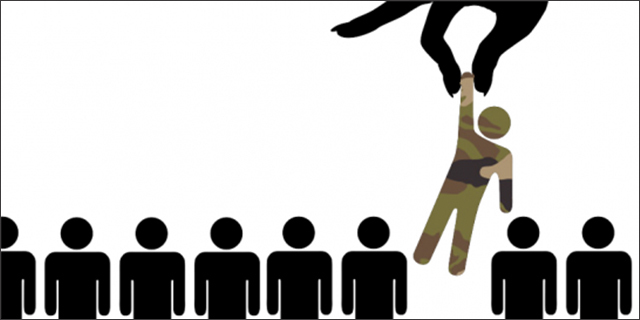 Do you hire from within your networks? What job forums do you use? I look forward to your thoughts below.